All of the single-sided printers in the Magicard Rio Pro, Enduro+, and Enduro 3E can be easily field upgraded to dual-sided printers when the need arises. You may only need one sided cards right now, but in the future, you might find a reason to use the extra space on the back to add functionality and even more security to your ID cards. 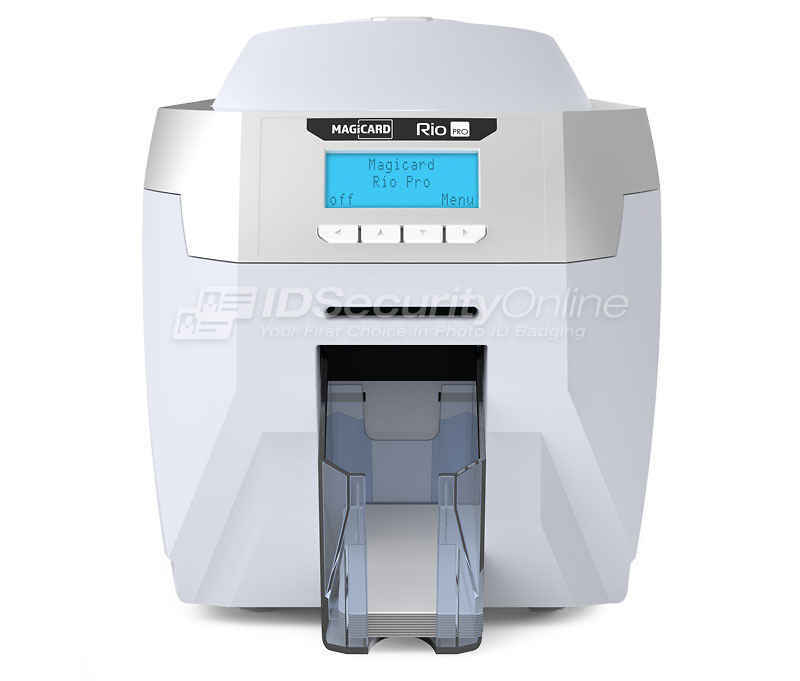 With any of these Magicard ID card printers, there is a simple drop-in kit that�s actually a special ribbon, YMCKOK, that the printer recognizes. This tells your Magicard printer to start printing on both sides of the card instantly without any additional hardware, software, or tools. 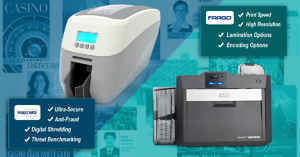 It�s just that straightforward to switch your single-sided printer to a dual-sided one for better use of your ID cards. The upgrade process is quick and easy, and needs little to no down-time to install. It�s as simple as inserting a new ribbon in your printer. 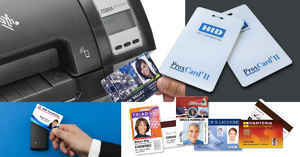 You may only have one work station that needs to print out ID cards at the current time, but in the future, having the ability to connect your Magicard ID printer to your network and print from anywhere could come in really handy. It�s easy to do with the Magicard Enduro + printers. 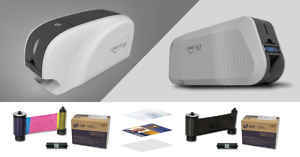 Whether you have the Magicard Enduro + single-sided or dual-sided printer, with or without magnetic coding, the upgrade is a simple drop-in kit similar to the duplex printing one. This gives you instant connection to your company�s network so that even those in remote locations can print to your ID card printer. This option saves you from having to purchase multiple ID card printers for different workstations in your building or on your campus. Each upgrade for all Magicard printers comes with straightforward, easy-to-follow instructions so that you can upgrade your printer in the field without having to schedule a service appointment or send your printer off to the manufacturer. 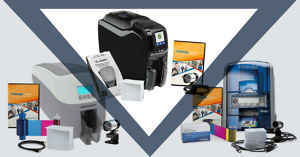 You handle the drop-in installation right in your office, and in a matter of minutes, your Magicard printer is upgraded and ready with new functionality. This is what makes the Magicard upgradable printers truly innovative. If you�re still uncertain how to go about this simple upgrade, give us a call. One of our expert technicians can walk you through the process to ensure it�s truly as simple as it should be. If you�re ready to upgrade, you can shop for Magicard upgrades here. Or call one of our experts to discuss your needs more fully so that you get just the right system to meet your security requirements and your budget. 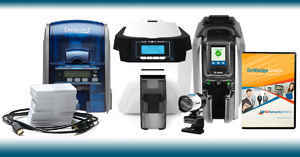 All of our experts have significant experience with each ID card printer in our line, not just Magicard. You can rest assured that you�ll get the perfect solution with IDSecurityOnline.